When speaking to Alexandra about the rewilding of the Danube Delta region in her home country of Romania, it soon becomes clear that, to her, this is more than just an ecological debate. It is a grand vision of a more positive, collaborative, and mutually beneficial relationship between a land and its people. Instilling a sense of pride and ownership among those who rely on the Delta’s natural resources is Alexandra’s mission – and her biggest challenge. Alexandra Panait, Team Leader of Danube Delta rewilding area. As a political science graduate, Alexandra is all too keenly aware that the after-effects of the communist era still linger in many people’s minds in large parts of the former Eastern Bloc. For 45 years, the stewardship of the land fell into the hand of the Communist Party, leaving local residents with little control of their own. Because the system did not allow a sense of ownership, it is not surprising to Alexandra that sustainable and forward-thinking land management has not been a priority for rural Romanians following the end of the communist rule. Rather than viewing this as an obstacle, she sees this as a challenge that can be overcome through collaboration and understanding. In fact, Alexandra’s approach to conservation and rewilding could be summed up in that one word – “collaboration”. 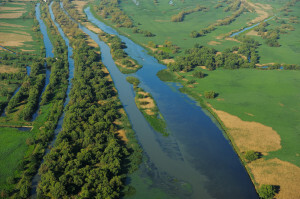 Aerials over the Danube Delta rewilding area, Romania. 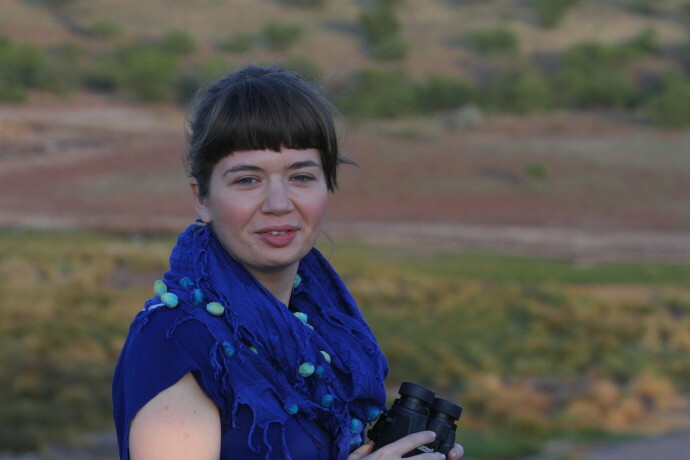 Alexandra is a conservation scientist with a background in political and conservation sciences and it is her firm belief that in order to succeed, conservation must always include the human dimension, and can never take place in isolation. In other words, while it is important to have scientists in labs to provide insights on ecological realities, it is equally important to have someone on site to work with local communities and understand the human realities. For Alexandra, this is a no-brainer: when people feel ignored or disregarded and decisions affecting their everyday lives are made over their heads, resentment and a lack of cooperation are the logical consequences. If, however, people are given a sense of ownership, the entire dynamic changes. With ownership comes pride in the land, and a willingness to look after it sensibly and sustainably. It is a win-win solution for both nature and people. To Alexandra, that is the most effective and ethical way of promoting the rewilding initiative in an area in which conservation is a luxury to people with urgent problems affecting their everyday lives. Nevertheless, reversing a trend of natural resource depletion 50 years in the making is easier said than done, and progress can be slow. However, Alexandra feels as if she is on the right path towards achieving this. She laments the fact that, for many larger NGOs, there is a tangible disconnection between the priorities of the organization and its donors, and the actual realities in the field. At Rewilding Europe, however, she is happy to be part of a dynamic, de-centralized working environment in which local people have an important voice. She has already begun to see the fruits of her labour. In 2014, Dimache guesthouse in Danube Delta secured the first rewilding loan in Romania. In what she describes as the most rewarding moments of her job, some of the Delta’s residents have started discussing the rewilding initiative among themselves. They are promoting its vision not because they are asked or paid to do so, but because it genuinely inspires them. To Alexandra, this is the most encouraging development of all. As someone who has found her own vocation by following her passion and convictions, she fully realizes that there can be no substitute for being driven by such intrinsic motivations, and that there can be no better promotion for the rewilding initiative than a community that genuinely supports its ideals. This is the momentum that Alexandra wishes to build upon. Trail maps of the area, including spots of high biodiversity value, have already been designed in cooperation with knowledgeable locals, providing the community with tangible output to take pride in. Future plans include bringing together locals and government agencies, a big challenge in a country in which the relationship between citizens and their government has been historically characterized by fear and mistrust. However, Alexandra is hopeful. She has met with fisheries authorities to discuss new fishing laws. It is not altogether surprising that, as a political scientist, Alexandra believes legislation can be an effective and positive tool, provided those affected by the laws get to have a say in their design. 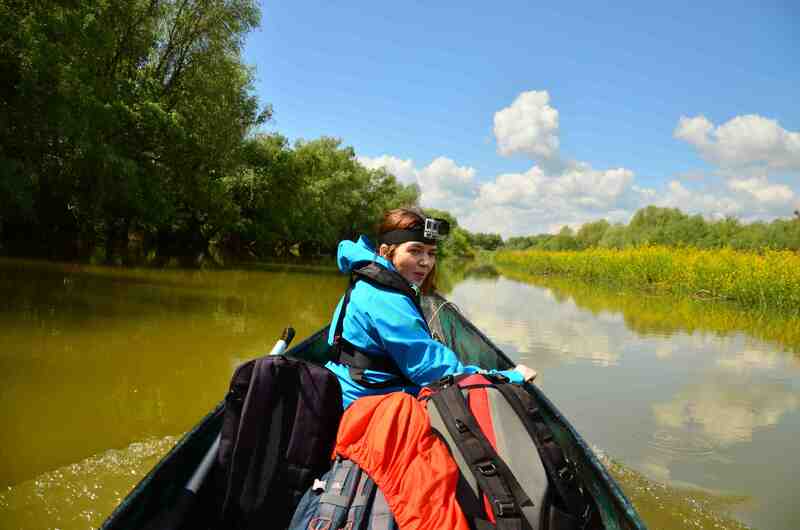 Alexandra Panait, Team Leader of Danube Delta rewilding area on a field mission. Being a team leader of the Danube Delta rewilding area is more than just a job for her, It is a vocation. That vocation, ideally, requires a complete immersion in the lives of those who call the Delta their home. With the Danube Delta rewilding initiative off to a very promising start, the coming months are going to be full of exciting developments, and Alexandra is looking forward to being there every step of the way. This is the first part of a series about the Team Leaders in Rewilding Europe’s rewilding landscapes. Rewilding Europe volunteer Arne Loth who is based in the United Kingdom writes the profiles.